FYI: LAST CHANCE to win epic Star Wars experiences from Omaze! It’s officially your LAST CHANCE to win three unbelievable Star Wars experiences, plus limited edition merchandise—so don’t miss out! Enter for the chance to win and score 100 bonus entries with code LIGHTSIDE. Just click “add promo code” and hit “apply” before completing your order*. 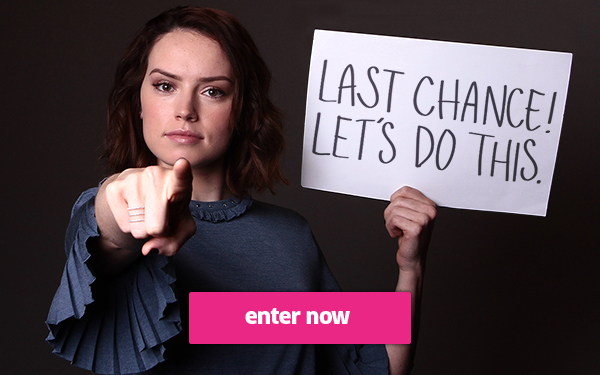 Your entry will put you in the running to win the grand prize, and you’ll help UNICEF and Starlight Children’s Foundation continue to make life-changing impact in the world on behalf of Star Wars: Force for Change.